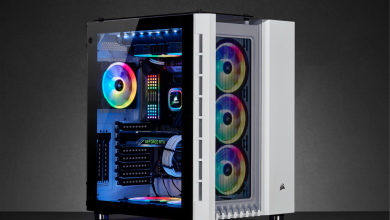 Carved out from 100% billet T6 aircraft-grade aluminum blocks, the Xynos G3 is machinist John Xynos’ vision of a compact micro-ATX gaming powerhouse. The 16lb chassis features a built-in 7-inch display as well as a 4-line LCD module where system stats can be displayed. Positive air pressure from a pair of Noctua 140mm fans and 25PPI density foam filters keep the high-end components inside virtually dust free. 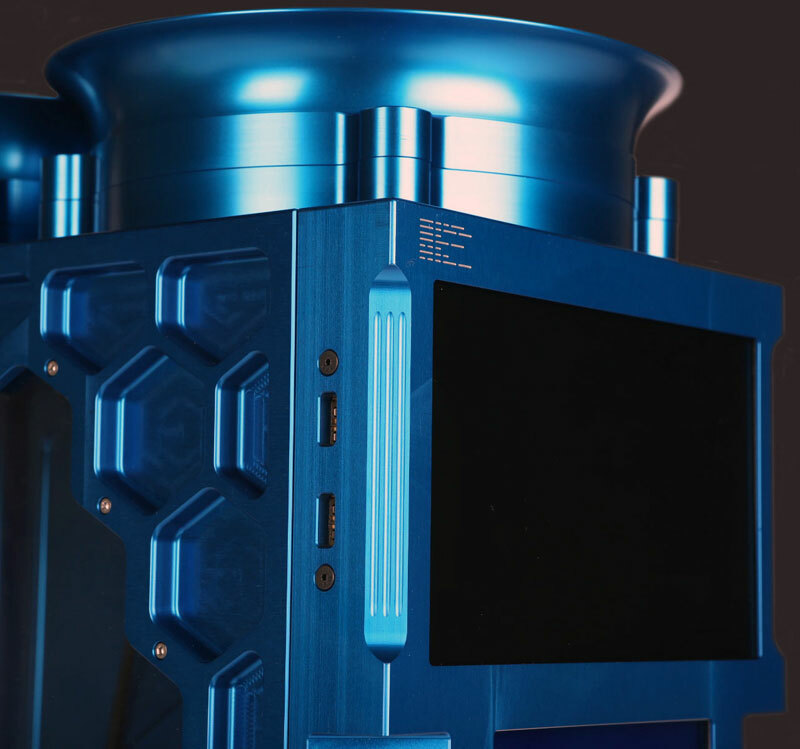 Unlike other case mods, users can purchase one of these scratch-built cases directly from the modder with three different anodized color finishes to choose from. 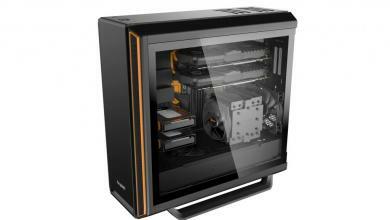 The XYNOS G3 is unlike any case you have seen before. 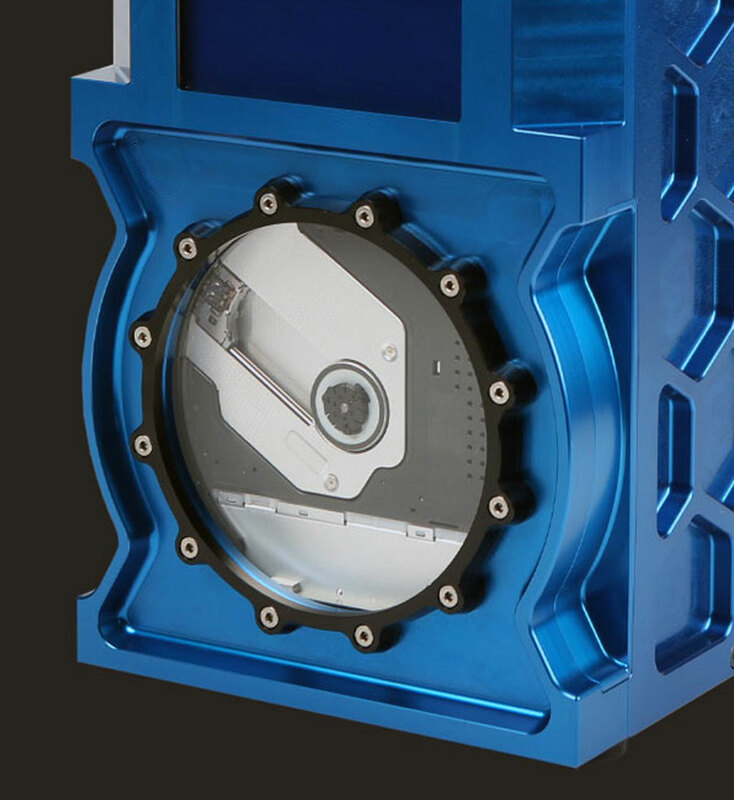 The case starts out as 120lbs of aluminum blocks and after machining weighs just 16lbs. 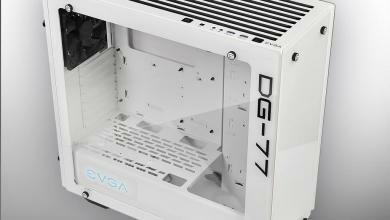 Made of 100% Billet T6 Aircraft Grade Aluminum the XYNOS G3 Computer Case is the first of its kind. The XYNOS G3 case has a built in 7″ display. This screen extends your desktop and allows you to run your favorite utility for real time monitoring of Graphic card resources. Below this is a 4 line by 20 Character LCD module display which can be used for monitoring additional system resources. 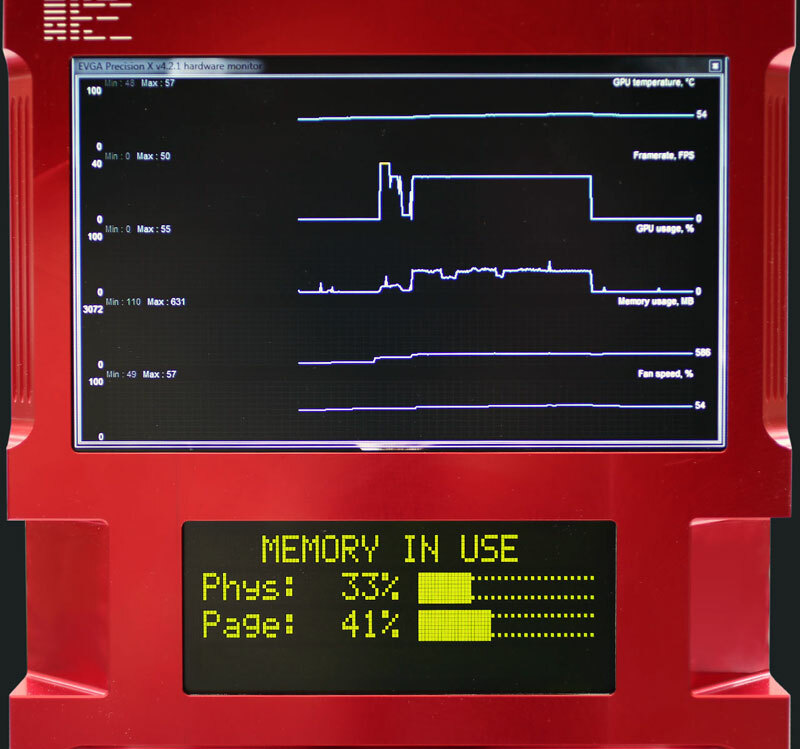 For example, Page file, Physical memory in use, CPU usage, as well as other resources. Both displays are USB powered and plug into a standard main board USB 2.0 header. All the air flow through the case is pulled through 25PPI 12.7mm (.5″) thick foam filters. 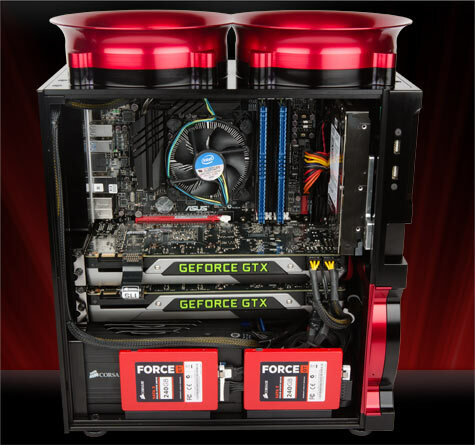 Dual 140mm (5.5″) Noctua fans blow directly down over the Ram, CPU, 5.25″ hard drive, and video cards. Designing the XYNOS G3 computer cases is a passion of mine. Even as an experienced machinist and CNC programmer, I have always enjoyed building my own systems. Creating a computer case was the next step. 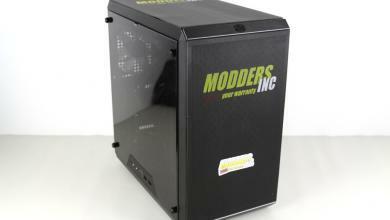 Where do you get your inspiration for your mods? What were the thoughts behind the featured mod? I also enjoy playing video games. 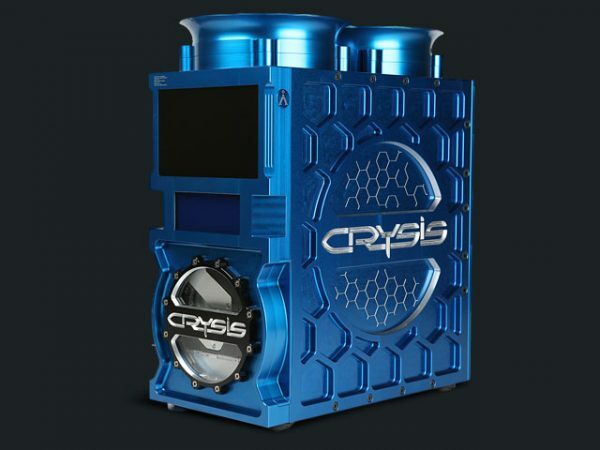 My favorite first person shooter game is the Crysis series, 1, 2, and 3. This game just kept getting better. I can’t say enough good things about this series. The graphics are cutting-edge and it has a great storyline to match. I hope there will be a Crysis 4 and it follows the same storyline and concept. The Crysis theme case pictured shows how we are able to customize our cases. We hope to talk to Crytek and other game developers about creating theme cases and we’ll keep you up to date on how things go. The cases available these days are all pretty much the same construction of sheet metal and plastic. When I started designing the XYNOS G3 I wanted to try something different. Having worked in the aircraft industry making parts for Boeing, Airbus and others my plan was to machine it out of billet aluminum with an anodized finish for maximum “cool factor’. I also wanted the case as small as possible mainly so it could sit on my desktop and still be able to run 2 video cards for maximum frame rates. To achieve this I chose to use the ATX micro main board size. To minimize the dust in the case I added two large foam filters and two large fans for superior airflow and cooling. Monitoring the system’s performance in real time during gameplay was also important so I added two display screens. The hardest part of the Mod was all the CNC programming, and the chamfering paths. Every time you make a cut you create a sharp edge which must be chamfered. The case did turn out the way it was planed, but I was hoping the final product was less expensive. 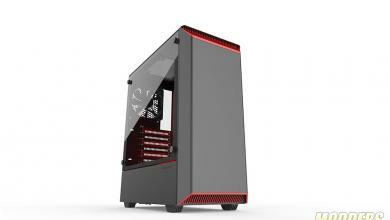 Only so a lot more gamers could purchase the case and enjoy using it as much as we do here. But once the initial design was finished, and all the programming and manufacturing challenges were realized. I did not want to compromise any of the design or the style to make the unit cheaper. So we just kept working on it and added everything up in the end to get the final cost. 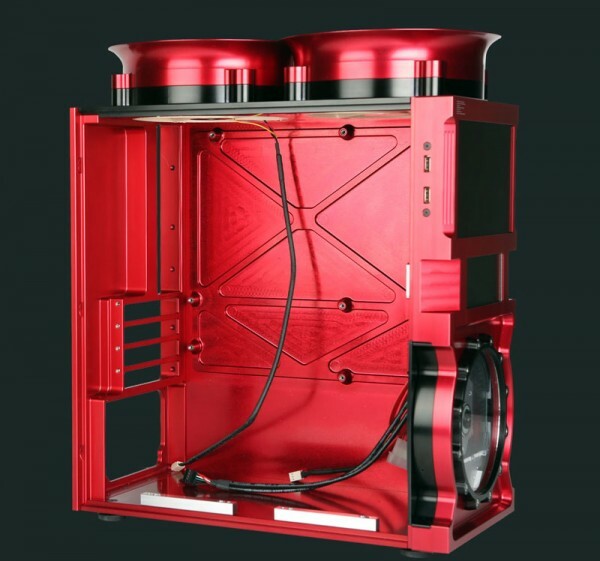 Yes, I was thinking of creating an optional rear panel with mounts for a water cooling unit, which may still happen. 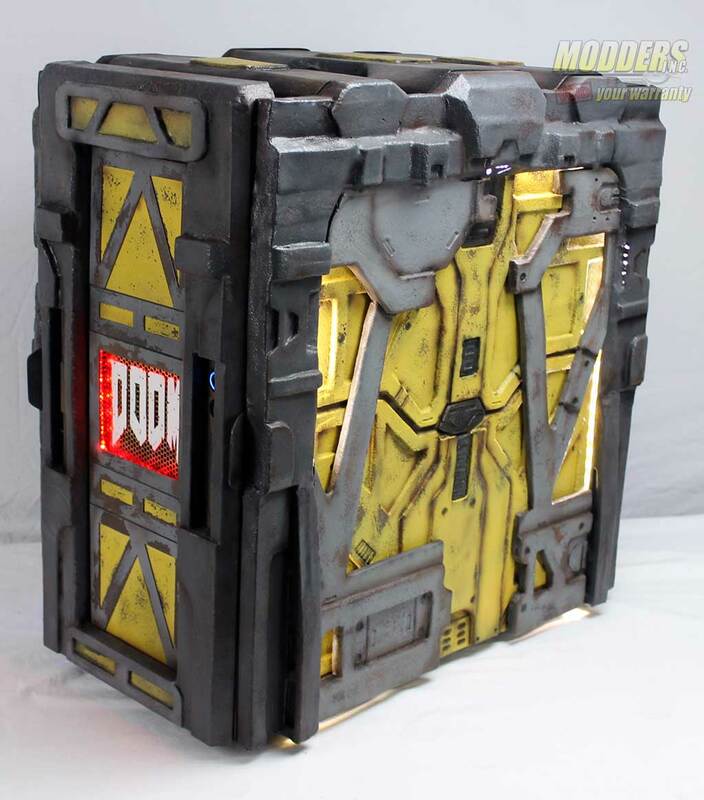 The only other project we are working on is a Call of Duty and Xynos theme case. 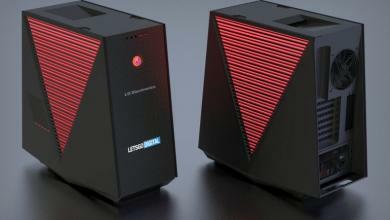 Something like the Crysis case but different. Thank you for agreeing to an interview John and we are looking forward to seeing your next creative project. Brother that is a master piece of machine work. Awesome design. I’ve always wanted to do velocity stacks, You should consider selling those separately? You should see some of the panels we have where the programming wasn’t quite right. It makes a real mess. As for the velocity stacks, I used to race cars in the 80`s and 90`s and thought they would look cool on the case but unfortunately they will not be available separately.